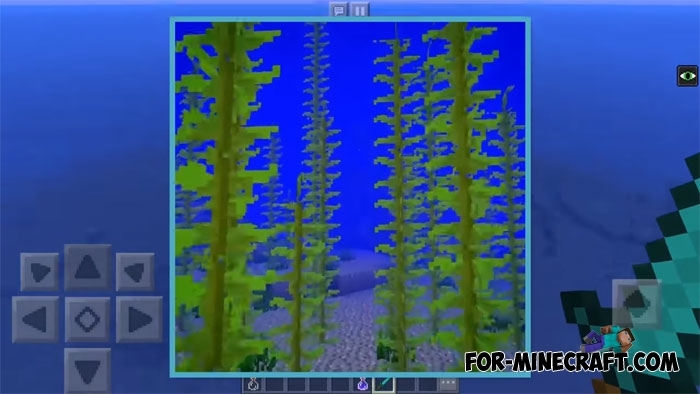 In addition to new mobs and things, Minecraft 1.3 will show us new underwater structures. 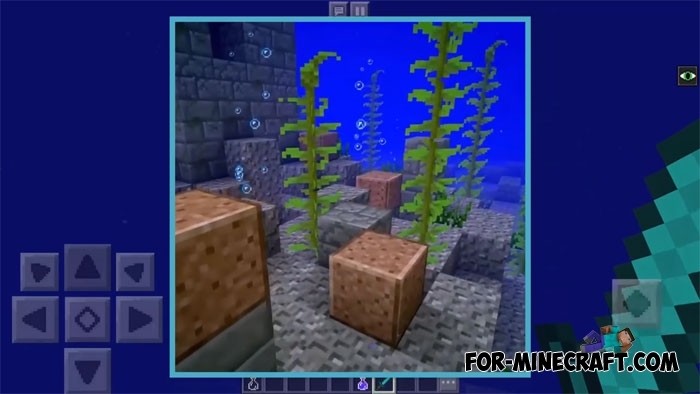 As expected, Minecraft PE 1.3 will receive wrecks and underwater ruins that can not yet be found in the current version. 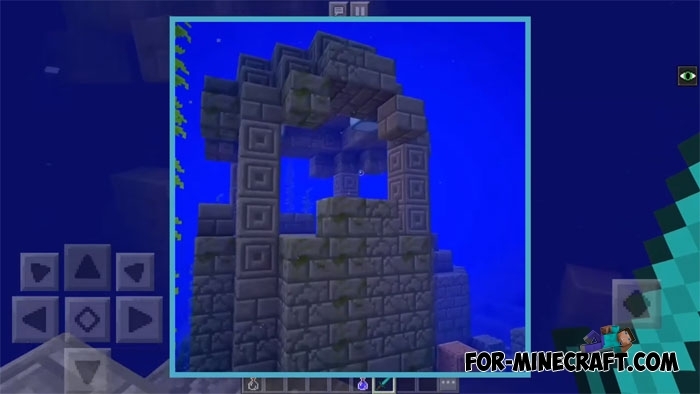 Both structures can be found quite a large depth by the game standards and therefore a potion of water breathing must be in your inventory before going on to research new structures. Underwater ruins are an expected structure generated only under water far from the mainland. While no one can confidently say what will be exactly inside, so the creator of the map decided to fantasize and complete the structure as it represents it. Dive under the water and visit the amazing ruins left by the ancient people for some unknown reason. 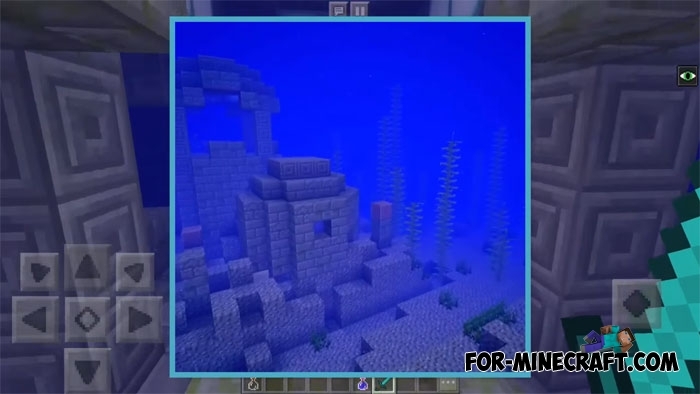 This feature will appear in Minecraft Bedrock Edition 1.3.